Carl Icahn is starting to sound like a broken record when it comes to Apple -- which is more than a bit ironic since Apple has played a starring role in the shift to digital music from CDs, vinyl and cassettes. Icahn has been pressuring Apple (AAPL) and CEO Tim Cook to do more with the company's cash since his firm Icahn Enterprises (IEP) first acquired a stake in the company in the summer of 2013. And he's at it again. 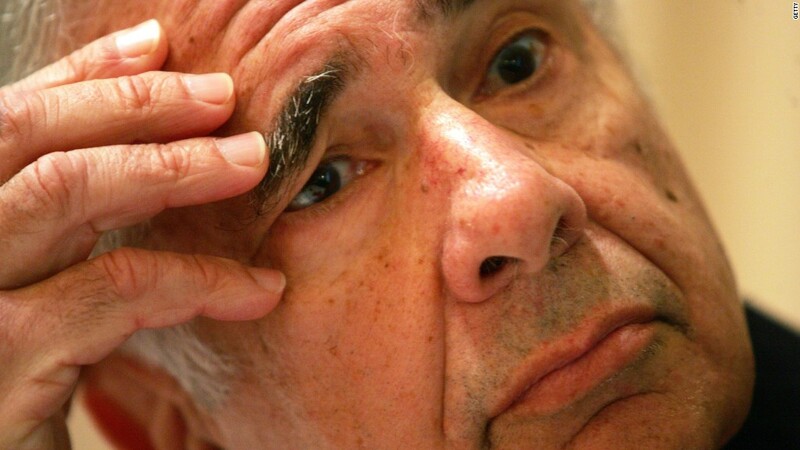 In Icahn's latest letter to Cook, he said the stock remains "dramatically undervalued." Icahn thinks Apple shares should be worth $240 -- 85% higher than where they are now. He had previously estimated that Apple should be worth $203 a share. At $240, Apple would have a market value of nearly $1.4 trillion. Related: Will Apple be America's first $1 trillion company? Apple is already the world's most valuable company. It's currently worth about $750 billion. Shares are only about 3% below the all-time high they hit in April. The stock, which was added to the Dow Jones Industrial Average earlier this year, is up 18% so far in 2015 and more than 50% over the past 12 months. Apple's iPhone 6 and 6 Plus have turned out to be a phenomenal success for the company. The company is expected to report overall revenue this year of $231.4 billion. But Icahn is still not happy. He said that "now is the time for a much larger buyback" -- even though Apple recently announced plans to increase its share repurchase plan from $90 billion to $140 billion. Investors often applaud stock buybacks because they reduce the number of shares outstanding and boost earnings. Icahn continues to argue that Apple could buy back more shares while also continuing to invest in research and development. He makes a good point. Apple has $194 billion in cash. To that end, Icahn also said in his letter that he expects Apple to come out with a TV set -- something that has been rumored for a LONG time -- next year and a car by 2020. There has been increased chatter about an Apple car lately. Some shareholders have even dreamed that Apple would buy electric car company Tesla (TSLA). Cook has not talked about any specific new product lines for Apple. During the company's latest earnings conference call with analysts, he simply said that Apple will keep investing in the future while also returning cash to shareholders because it is "in the very fortunate position of generating more cash than we need to run our business and keep making these important investments." Icahn claims that the TV and automobile markets are worth about $2.2 trillion and that this justifies why the stock should nearly double from here. "Apple has clearly demonstrated a track record of excellence and success when entering new categories," Icahn wrote. "We expect this to continue with the Apple Watch, the television, and the car, and the world will look back on today's undervaluation as a fascinating example of market inefficiency." To quote Billy Joel, Icahn may be right. But he may be crazy. Apple did not have a comment about Icahn's latest letter.